The driveway of your house can make or break your chance in establishing a good impression for it at first sight. The moment any bypasser or visitor notices the mess that is of your driveway, then the beauty that is visible on your house can be overshadowed by the unsightly view brought by your driveway. If spending is not an issue to you, then you can go for materials that could make your driveway pavers more attractive and strong so that it can bear the structural and functional demands, as well as that of the situations that can arise. 2. You should look into the driveway maintenance. 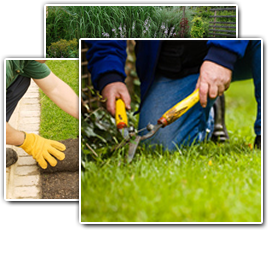 You should know what are the factors that can hamper the good condition of your pavers and you should do measures to prevent those things from happening. An example would be the effect of water into the pavers. Water can damage the pavers so it is necessary to cover the driveway with a coating even once every two years. 3. You should not overlook the size and shape of materials that you will use for your pavers. The number of vehicles in your garage or on your driveway can help you in determining just the right size and shape of bricks. This move is important because it will help in making a driveway that is strong and functional. more so accumulated water on your driveway can even lead to accidents. Driveway drainage is usually determined by the installer basing on the slope that will make the water flow away from the house towards a pit or pipe. 5. Pay attention to the materials that you will be using for your pavers. You can either choose brick or concrete if you want your pavers to last longer. Richmond driveway concrete pavers may last for 20 years, while brick pavers may last for about 25 years or more.